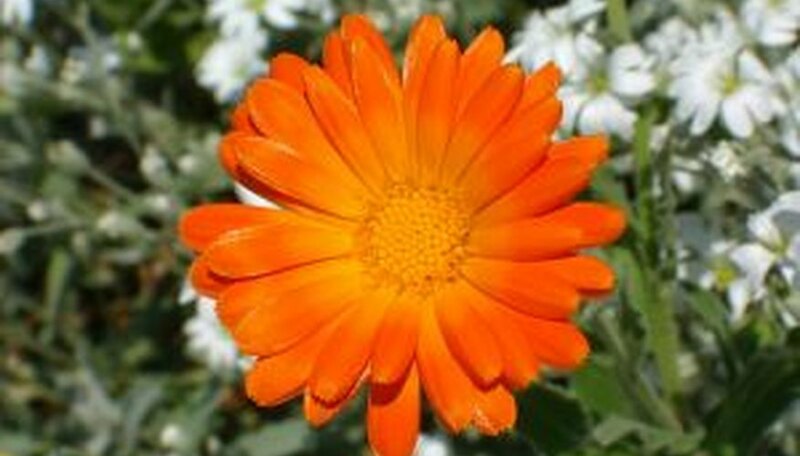 Gerbera daisies are prized for their large centers surrounded by 4 inch petals. Available in a range of colors including yellow, red and pink, Gerbera are most often purchased potted--though they can be transplanted outside. The large flowers grow on long, leafless stalks. Powdery mildew is the most common disease of the Gerbera daisy either inside or out, but proper care greatly reduces or eliminates this issue. Keeping your Gerbera daisies properly pruned keeps the plants healthy and may encourage a second blooming period. Separate the foliage and find leaves that are dead, beginning to wither or that appear diseased. Use a sharp knife to cut these leaves 1/8 inch from the base of the plant where they rejoin the stem. Cut off any withered flowers. Follow the stem down to the base of the plant, and cut off there. Cut blooms at their peak for use in flower arrangements and bouquets. Cut the stem off the plant at a 45-degree angle. Place cut flowers in water immediately to prolong flower life. Cutting flowers for arrangements encourages further blooming. Check the plant at every watering for signs of mildew. Look for a white or blue powdery substance on the soil or leaves. Remove any affected leaves immediately with your knife. Apply a fungicide if the problem persists. Let leaves wither and die off naturally after the growing season ends in the fall. Cut back all the dead leaves to the ground afterward if desired. Cut Gerbera can survive up to 14 days in a vase. Re-cut the stem, and replace the water every 4 days to prolong the blooms. Avoid using shears when pruning because this damages the stems.